$4,000. I wouldn't pay that for any model. I could pay off my car with that and still have money to buy Schleich. Hope you didn't pay half that. They are all beautiful. Conratulations on them. Well, it IS a beautiful bongo. 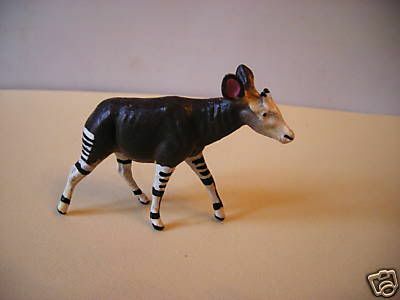 Yes, it is a Bongo and it is definately beautiful. They are all beautiful. Thanks, are these schleich size or what? That's wow. You really made a nice hunting last week. All of them are nice but my most favorite in this batch is the Flamingo family. Some are from the 1960's and some from the early 1980's. They are supposed to be 1:32... But like Schleich, the scales are not always correct. They are smaller than Schleich and more like Britains.